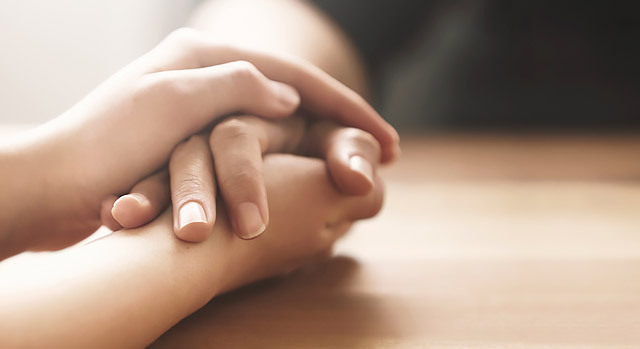 Palliative care is specialized care for people at any stage of a serious illnesses — at diagnosis, throughout treatment, during follow-up and at the end of life. It focuses on providing relief from the pain, symptoms and stress of a serious, chronic or life-threatening illness such as cardiac disease, respiratory conditions, kidney failure, cancer, Alzheimer’s disease, multiple sclerosis and traumatic injury. While hospice care also provides comfort, it is limited to those with advanced stage or terminal illness. Palliative care can be used during any stage of illness and given at any age. Palliative care can also be used in conjunction with other therapies that help promote a cure. The goal of hospice care is to promote comfort, not cure. If you think you or a loved one could benefit from palliative care services, tell your nurse or talk with your attending physician who will arrange for a consult with a member of the palliative care team at Desert Springs Hospital Medical Center. A palliative care physician or nurse practitioner will explain the services and allow the patient to decide if he or she wishes to pursue palliative care in addition to curative treatment. Many insurances, including Medicare and Medicaid, cover all or part of palliative care services. If you need a referral to a physician at Desert Springs Hospital Medical Center, call our free physician referral service at 702-388-4888.